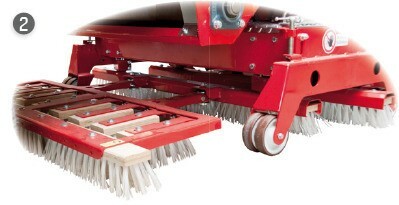 Ride-on machine for the filling of artificial turf. 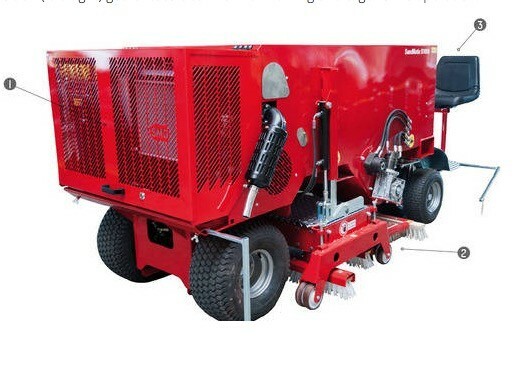 SandMatic B1005D is a compact automatic and self-driven infilling machine that provides exact dosage of sand and rubber into modern artificial turf surfaces. Equipped with the innovative brush technology of the proven SandMatic B1503 and B1505, this machine meets the specific requirements needed for the modern artificial turf systems, even for extremely high piles. SandMatic B1005D can work the material into the surfaces either in forward or reverse mode. An overdrive allows for quick manoeuvring. Therefore the e fficiency of the machine is considerable – with an infilling power between 1 and 10 m²/min. The working width is 1,000 mm. 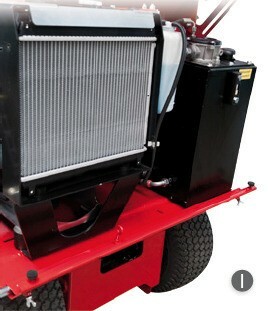 The machine is driven by a 3-cylinder diesel engine with a performance of 16 HP. 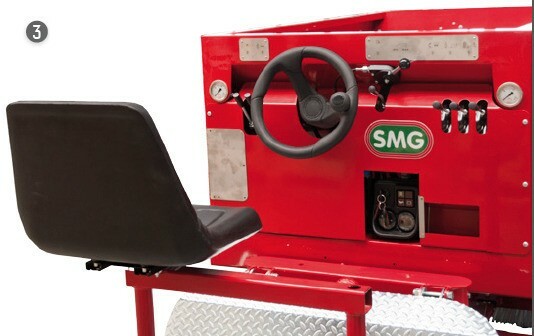 A comfortable driver seat with adjustable seat position (left/right) guarantees clear view for working and ergonomic operation.